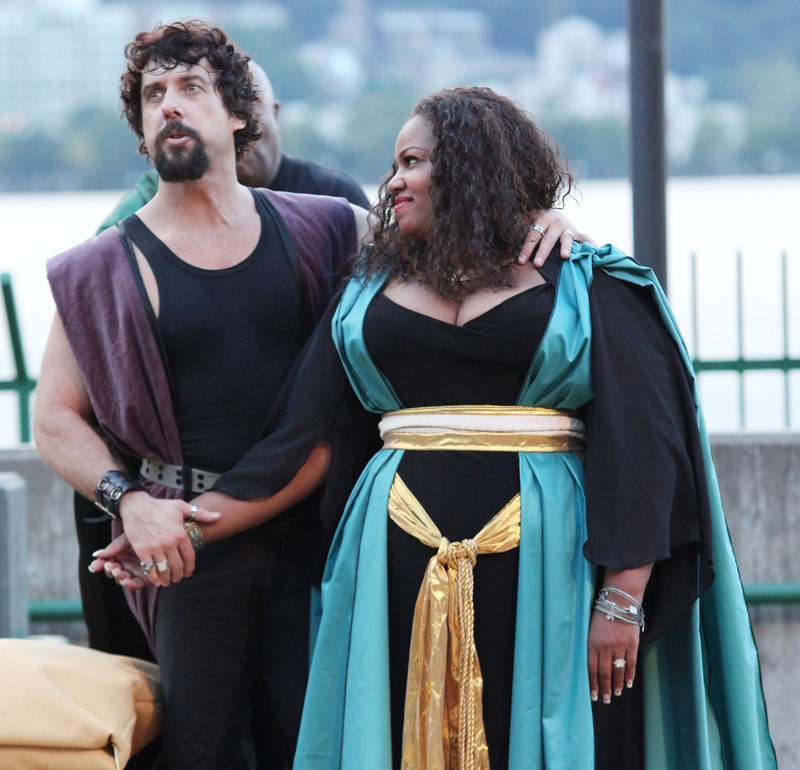 Take Wing and Soar Productions and Voza Rivers/New Heritage Theatre Group in association with East Harlem Presents … set to bridge the arts across Harlem with the launching of the Harlem Shakespeare Festival’s inaugural production of Shakespeare’s ANTONY & CLEOPATRA, directed by Petronia Paley at the Waterfront Amphitheatre in Riverbank State Park, from August 29th – September 1st, 2013. He is a Roman general, handsome & brave. She is the Queen of Egypt, beautiful & proud. Together they will defy the power of an Emperor. Together they will destroy that which they strive to uphold. 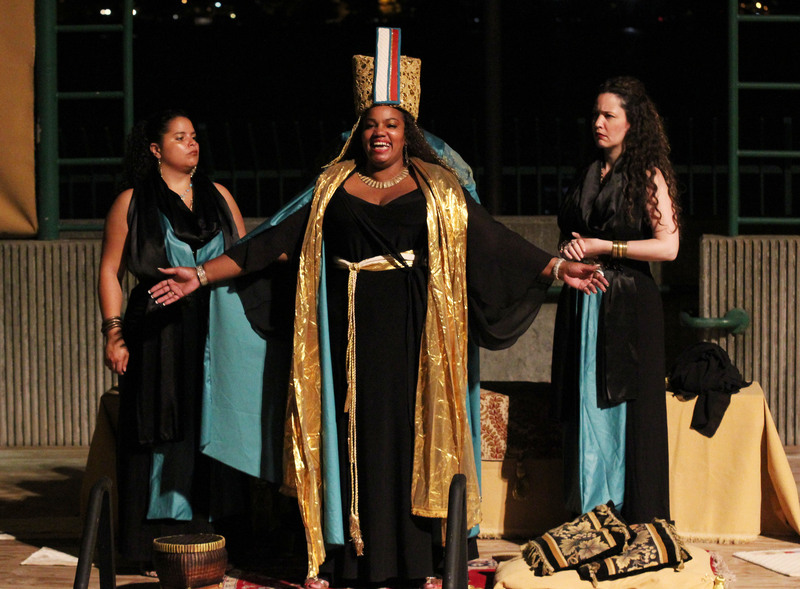 Award-winning actress and director Petronia Paley leads the TWAS Classical Actors of Color as they share the stage with classical actor Christopher Sutton as Marc Antony and Debra Ann Byrd as Cleopatra, Egypt’s last Queen. CHRISTOPHER SUTTON* [Marc Antony] An award-winning actor and three-time Barrymore Award Nominee for Outstanding Performance by a Leading Actor as Mickey in Blood Brothers and Don in Singin’ in the Rain, Christopher received the Barrymore Award for Buddy: The Buddy Holly Story, and is a recipient of the Louis B. Sudler National Prize in the Arts. He played the role of Prince Herbert/Not Dead Fred in the 1st national tour of Monty Python’s Spamalot for over 1,200 performances under the direction of Mike Nichols, and created the title role in the World Premiere of Flight of the Lawnchair Man at Goodspeed Opera House and NYMF (Outstanding Actor Award). 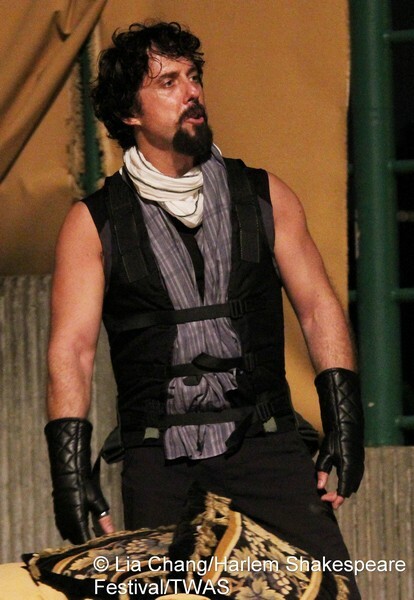 Christopher recently appeared as Jack in David Ives’ Ancient History at 45th Street Theatre, and as John in the new play Lola-Lola by Peter Michalos. Other New York credits include I Love You, You’re Perfect, Now Change, and the original casts of Golf: The Musical and The It Girl with Jerry Zaks. 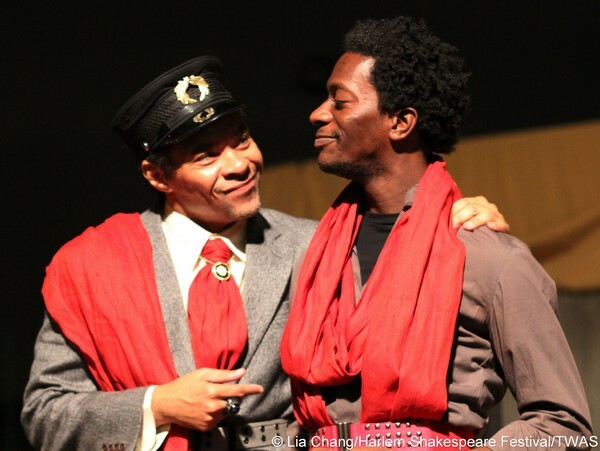 Regional credits include: Of Mice and Men (George), Desire Under the Elms (Eben), Odet’s Golden Boy (Joe), The Sea Gull (Treplyev), Me and My Girl (Bill), Carousel (Billy), Henry IV pt 1 (Prince Harry), Twelfth Night (Feste), As You Like It (Orlando), Henry VI Pts 1-3 (Richard Plantagenet, Duke of York). DEBRA ANN BYRD* [Cleopatra, Queen of Egypt] Last seen as Lady Bracknell in the 1920’s Harlem production of Oscar Wilde’s The Importance of Being Earnest, Debra Ann is an award-winning actress, producer & AUDELCO Award Nominee for Best Lead Actress as Cleopatra in Shakespeare’s Antony & Cleopatra (2011). 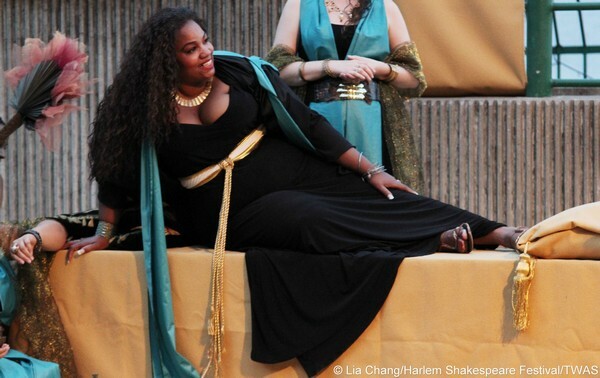 She received a Bachelor of Fine Arts Degree in Acting from Marymount Manhattan College, completed advanced studies at The Public Theater’s Shakespeare Lab; is a recipient of the League of Professional Theatre Women’s Lucille Lortel Award & Josephine Abady Award; and is the Founder & Producing Artistic Director of Take Wing And Soar Productions and the Harlem Shakespeare Festival. Her classical roles for the stage include Love’s Labors Lost (Winter), A Midsummer Night’s Dream (Hippolyta), Richard III (Queen Elizabeth), Antigone (The Choragos), Coriolanus (Volumnia) & Mrs. Malaprop in The Rivals. Roles in other new American classics include Luce Morgan in Loose by Petronia Paley, Dido Queen of Carthage in Massinissa: The Man Who Betrayed Hannibal to Rome by Lorey Hayes & Queen Yemmo in David D. Wright’s Obatala: King of the White Cloth. Other company members for this Equity Showcase Production are actors David Heron* as Caesar, Tauriq Jenkins as Enobarbus, Renauld White* as Agrippa & Natasha Yannacañedo* as Charmian, with Getenesh Berhe, Egbert Bernard, Marckenson Charles*, Andrew R. Cooksey, Selina Hernandez, Julius Hollingsworth, Nicholas Johnson, Aixa Kendrick*, Tom Martin, Norman Anthony Small, Tarantino Smith*, Dwayne Walker-Dixon, & Justin Walker-White. Scenic Designer: Pavlo Bosyy; Lighting Designer: Joyce Liao; Costume Designer: David Withrow; Sound Designer: David D. Wright; Casting Associate: Sara Koch Casting; Stage Manager: Jacqueline Anscombe; Assistant to the Director: Troi Danielle Hall; Patron Affairs: Natalie Clarke; Volunteer Divas and Divos Plus: LaZette McCants. Producers for Antony & Cleopatra: Debra Ann Byrd, Voza Rivers, Raphael Benavides & Dathan B. Williams. Assistants to the Producers: Julius Hollingsworth, Anna Chico, Carmen Borla & Lainie Cooke. TAKE WING AND SOAR PRODUCTIONS & VOZA RIVERS/NEW HERITAGE THEATRE GROUP in association with RAPHAEL BENAVIDES/EAST HARLEM PRESENTS … set to bridge the arts across Harlem with the launching of the HARLEM SHAKESPEARE FESTIVAL // 16 EVENTS, OVER 5 MONTHS, SPANNING AUGUST 28 – DECEMBER 15, 2013. 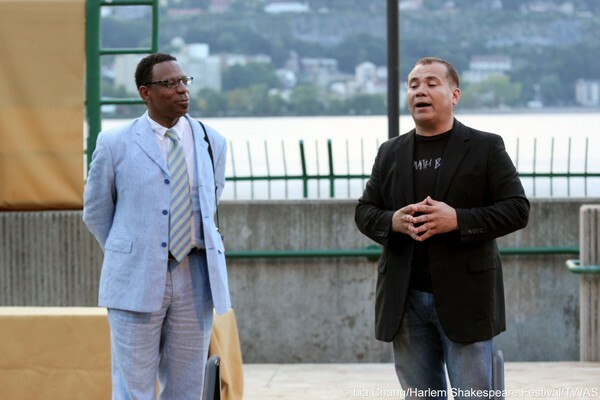 Three award winning, Harlem-based arts organizations have teamed up to launch the inaugural season of Take Wing And Soar’s newest initiative, the HARLEM SHAKESPEARE FESTIVAL, an indoor/outdoor theatre festival spanning summer through late fall, consisting of 2 mainstage plays; 1 concert staged reading; 3 international Shakespeare films; 1 musical/concert opera performance; featuring related talk backs, lectures, panel discussions, picnics, master classes, youth workshops & family fun for all. 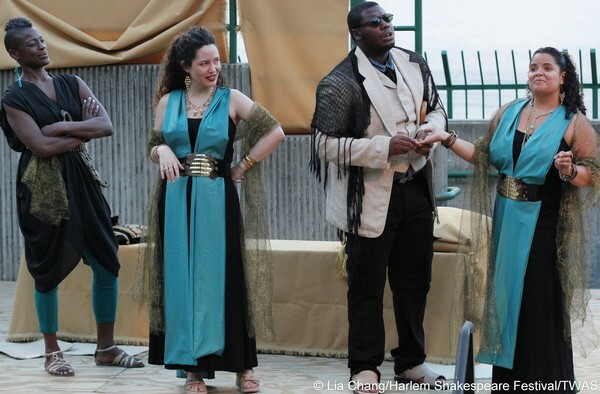 The HARLEM SHAKESPEARE FESTIVAL runs Wednesday, August 28 through December 15, 2013. 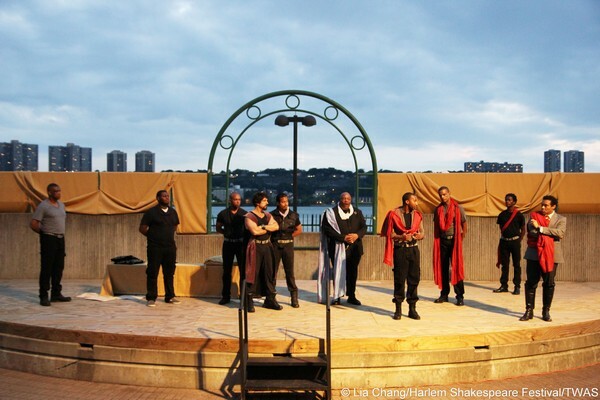 FESTIVAL HIGHLIGHTS INCLUDE: An outdoor performance of Shakespeare’s ANTONY & CLEOPATRA at the Waterfront Amphitheatre in Riverbank State Park [August 29th through September 1st]; a Family Day Picnic in the Park & Ribbon Cutting Ceremony [Saturday, August 31st]; Shakespeare-On-Film Series, featuring the Royal Shakespeare Company’s contemporary African Julius Caesar, directed by Gregory Doran [October 2013]; an indoor mainstage production of CORIOLANUS: The African Warrior, directed by Jeffrey V. Thompson, starring Petronia Paley* [Opens October 31st]; a Shakespeare-In-Music concert Come Again Sweet Music created and directed by Dathan B. Williams [November 2013]; & an all-female production of The Tragedy of OTHELLO, directed by Lisa Wolpe of the Los Angeles Women’s Shakespeare Company featuring staged combat by Safe Violence with Dan Burke [December 2013]. This special Launch event, hosted by State Committeewoman Hon. Theresa Freeman, will honor Councilwoman Inez E. Dickens, the West Harlem Development Corporation & the leadership of the Festival. Food, Friends & Family fun for all! Power Play cast members Roscoe Orman (“Sesame Street”), Lia Chang (Big Trouble in Little China, New Jack City), and playwright Lorey Hayes (For Colored Girls…), joined celebrities, special guests and performing artists who gathered to celebrate and pay tribute to Margarette Purvis and Will Brown, at the 25th annual STAR (Special Thanks And Recognition) program, held in the historic Audubon Ballroom in New York on Sunday, June 9, 2013. 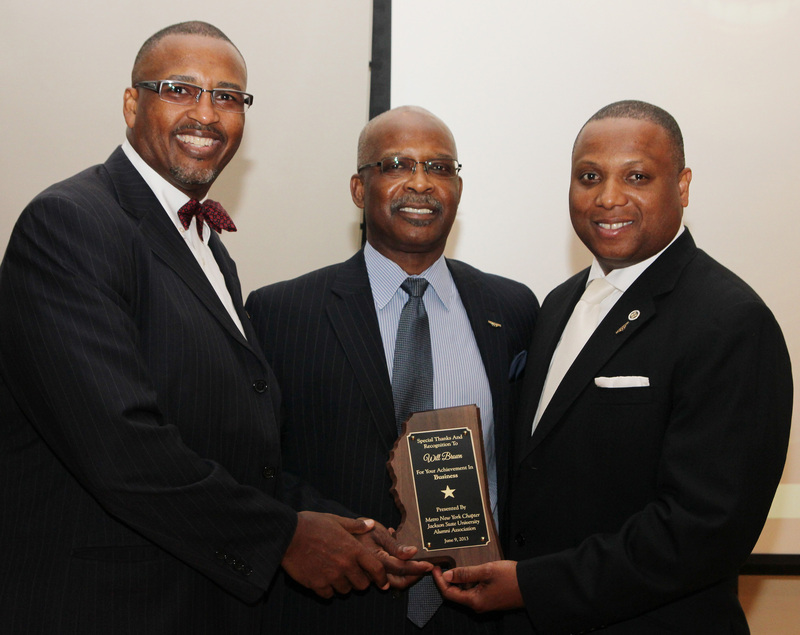 Sponsored by the Metro New York Chapter of the Jackson State University Alumni Association, the event annually recognizes the achievements of native Mississippians who reside in the metropolitan New York area. 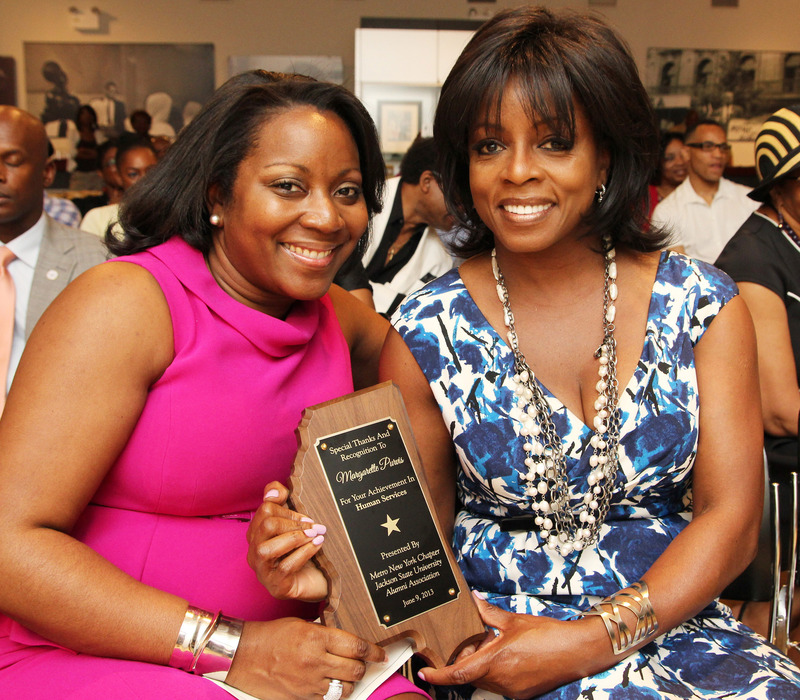 Margarette Purvis, a native of Jackson, MS, is President/CEO of Food Bank for New York City. She was introduced by her mother, Mearl Purvis, a JSU graduate and an award winning anchor and reporter for FOX13 News in Memphis, TN. Will Brown, a licensed New York State Real Estate and Insurance Broker, is a native of Mendenhall, MS. He was presented by the Rev. Michel J. Faulkner, President of the Institute for Leadership and Fitzgerald Miller, President of One Hundred Black Men, Inc.
Excerpts were performed from the musical, Soul on Fire, featuring Tyrone Stanley and company; Roderick A. Warner performed a scene from the musical Flambeaux. Other performances included vocalist/pianist Gary Mitchell, Jr., saxophonist Willie Gee and special appearances by five African American legends: Wendi Joy Franklin as Lena Horne, Jannie Jones as Ethel Waters, Michael Green as Dr. Martin Luther King, Jr., Sharon Hope as Shirley Chisholm and former Miss Mississippi, Toni Seawright, as Barbara Jordan. Actors Marjorie Johnson and Jay R. Unger served as co-hosts. Among the celebrity guests attending this Silver Anniversary celebration were Barbara Montgomery, star of the NBC television series “Amen,” Micki Grant, actress/composer/lyricist and author of the Broadway musical, Don’t Bother Me, I Can’t Cope, actor/model Renauld White and Woodie King, Jr., founder and artistic director of the New Federal Theatre in New York. $2,500 was donated to the Sarah Norville Endowed Scholarship Fund. Established in 1999, the Fund awards scholarships and book awards to deserving students from the New York area who attend Jackson State University.